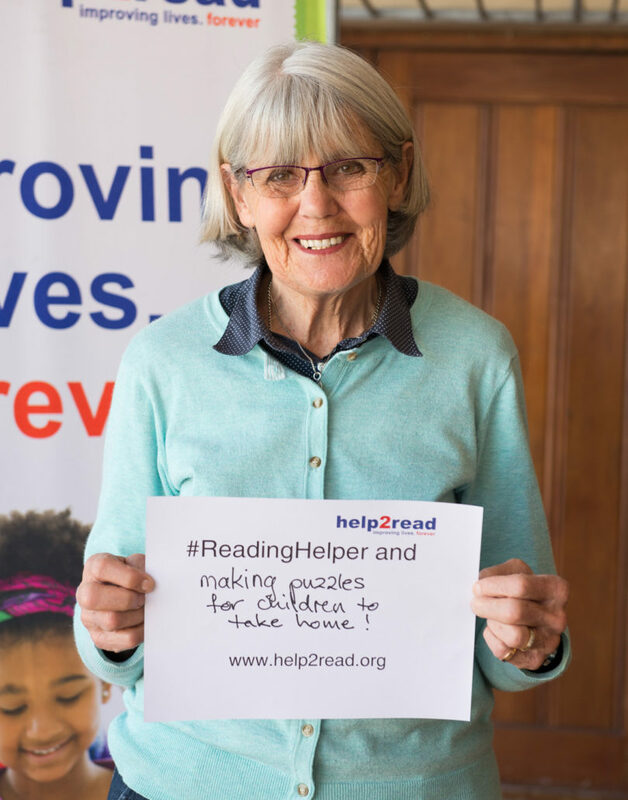 Charlie Barnes (68) has been a Volunteer Reading Helper since help2read began in 2006. “I saw the help2read sign in Claremont on a day I wanted to do something worthwhile with my time that had become available”, she explained. Charlie volunteers at Bridgeville Primary School, where she helps children learn to read. “I have realized what an enormous need there is for reading help, but some days I think I am learning from my learners”, said Charlie when asked about her experience as a Reading Helper. Being a Volunteer Reading Helper is rewarding in many ways. For Charlie, seeing her learners progress and want to read more and more is the most rewarding part. We asked Charlie what she would say to those considering becoming a volunteer, and she replied, “Do this. Education needs help with the backlog of struggling learners.” Like Charlie, we believe our Volunteer Reading Helpers are a powerful force in tackling illiteracy in South Africa.